Background: Colusa Refuge is situated about 70 miles north of the metropolitan area of Sacramento and one mile southwest of the town of Colusa, population 5,500. 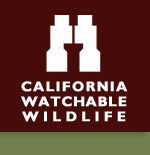 The Refuge consists of 4,686 acres in Colusa County and is part of the Sacramento National Wildlife Refuge Complex. Currently, peak numbers of waterfowl can exceed 200,000 ducks and over 75,000 geese. In addition, significant numbers of giant garter snakes (Federal-listed threatened species) and palmate-bracted bird's-beak occur on the Refuge, as does the second largest acreage of vernal pools on the Complex. The Refuge lies in the Colusa Basin and is bisected by the Colusa Basin Drain, which drains the Basin southeast to the Sacramento River. The low topography and presence of the Colusa Basin Drain makes Refuge lands subject to regular winter flooding. The Habitat: Colusa is divided into approximately 59 management units, and managed wetlands comprise about 71 percent of the total acreage. They consist of summer wetlands and seasonally flooded wetlands. The remaining acreage is comprised of unmanaged wetlands, alkali meadows, vernal pools, grasslands, riparian, and other upland habitats. The Experience: Colusa Refuge was established in 1945 as a refuge and breeding ground for migratory birds and other wildlife and to reduce damage of agricultural crops caused by waterfowl. Major objectives are to provide feeding and resting habitat for wintering waterfowl, provide habitat and manage for endangered, threatened, or species of concern, preserve a natural diversity and abundance of flora and fauna, alleviate crop depredation, and provide visitor service activities such as hunting, wildlife observation, photography, environmental education, and interpretation. Wildlife and Where to Find It: The visitor services program offers, wildlife observation and photography from a three-mile auto tour route, one mile walk trail and one photography blind that supports 16,300 annual visits. Site Notes: The visitor services program offers, wildlife observation and photography from a three-mile auto tour route, one mile walk trail and one photography blind that supports 16,300 annual visits. How to Get There: From Colusa, drive 1/2 mile west on Highway 20 to the Refuge entrance. From Williams, exit Interstate 5 at Williams. Travel approximately 6 miles to graveled Ohair Rd. Travel south on graveled Ohair Rd to Refuge entrance.